We understand that a high-quality Montessori education is a privilege not afforded to everyone but believe strongly that each family has gifts to share as part of our community. As a result, we offer both an apprenticeship program to help families reduce the cost of tuition in exchange for their time and a tuition assistance program. Families who would be unable to attend Dandelion without financial assistance may be eligible to participate in the Dandelion Tuition Assistance Program, which enables families to educate their children as equal members of an economically, racially, and culturally diverse community. Please email micki@dandelionmontessoricoop.org and lindy@dandelionmontessoricoop.org with questions regarding the tuition assistance program. Dandelion Montessori is a community school and draws on families to support the Teacher/Leaders in the operations of the school. Parent shifts are available for families wishing to work in the school on a regular basis. Parents may decide to receive tuition reduction for their shifts ($20 per hour) or they may decide to volunteer their time without tuition reduction. The shifts will be in the afternoon from 1-3:30PM. Families are asked to preferably commit to a consistent day each week (or every two weeks depending on interest) for the 10 month school year, but will be considered with a minimum commitment of three months. Shift assignments will be determined by the heads of school based on the parent’s fit for the apprenticeship position. Please email micki@dandelionmontessoricoop.org with questions regarding the apprenticeship program. 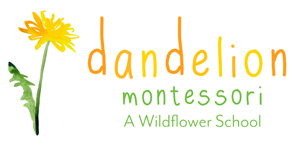 Dandelion Montessori welcomes all students and does not discriminate against any person on the basis of race, color, national origin, religion, cultural heritage, political beliefs, marital status, sexual orientation, or disability, for participation in, or receipt of the services under any of its programs and activities.